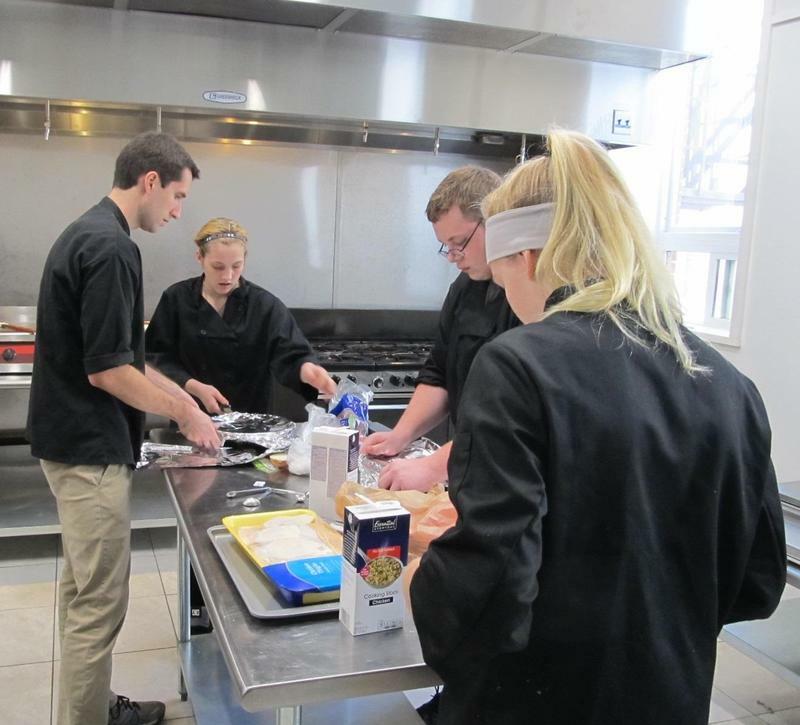 For years, people in the Freeport area dreamed of creating a commercial-grade kitchen that could be shared by students and entrepreneurs in the community. 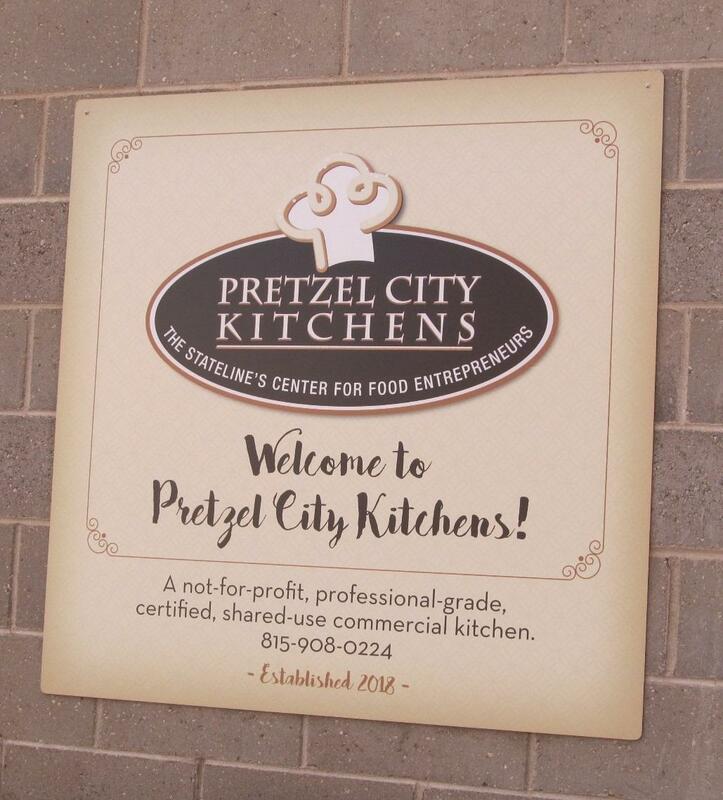 That dream became a reality with the opening of Pretzel City Kitchens. The back of the Wagner House, a former industrial warehouse in downtown Freeport, now houses a wine bar, an event space, and Pretzel City Kitchens. The large, brightly lit room is filled with professional cooking equipment, racks of utensils and stainless steel tables. On this particular day, the kitchen crew is made up of students enrolled in CareerTec. It's a career and technical education consortium of six area school districts. They are working on dishes under the eye of Chef Steve Konefes. Freeport High School and CareerTec student Mallory Balmer said she's there because she wanted to learn more about cooking. The class didn't disappoint. "We learned so much about different types of food," she said, "and the things that you have to do in order to safely prepare them that I had no idea. And otherwise, I wouldn't have done them as safely and correctly as we are now." Balmer said students come out of the class ready to get their sanitation license, a plus when looking for a restaurant job. But she said it also helped raise the level of her cooking at home. Konefes, a Cordon Bleu graduate, was a professional chef before becoming a teacher. He said it's extremely important – and rare - that students get access to something like this. "As anyone who's taken a culinary arts class or a cooking class in high school knows," he said, "they're in small individual kitchens, and they work in pairs, in labs. And it's nothing like the commercial kitchen that we have here, with professional commercial-grade equipment. It's just, I mean, all that I could ask for as a culinary instructor." 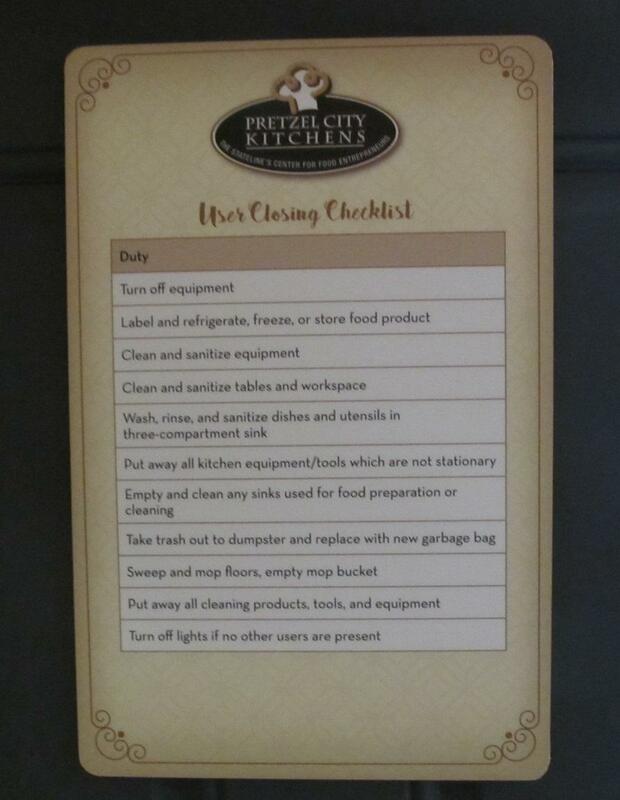 Konafes said education was an important component when the concept for Pretzel City Kitchens was developed. The visioning included representatives with the University of Illinois Extension, Highland Community College, regional development organizations, public officials, and -- through CareerTec -- public schools. It's not just high schoolers. 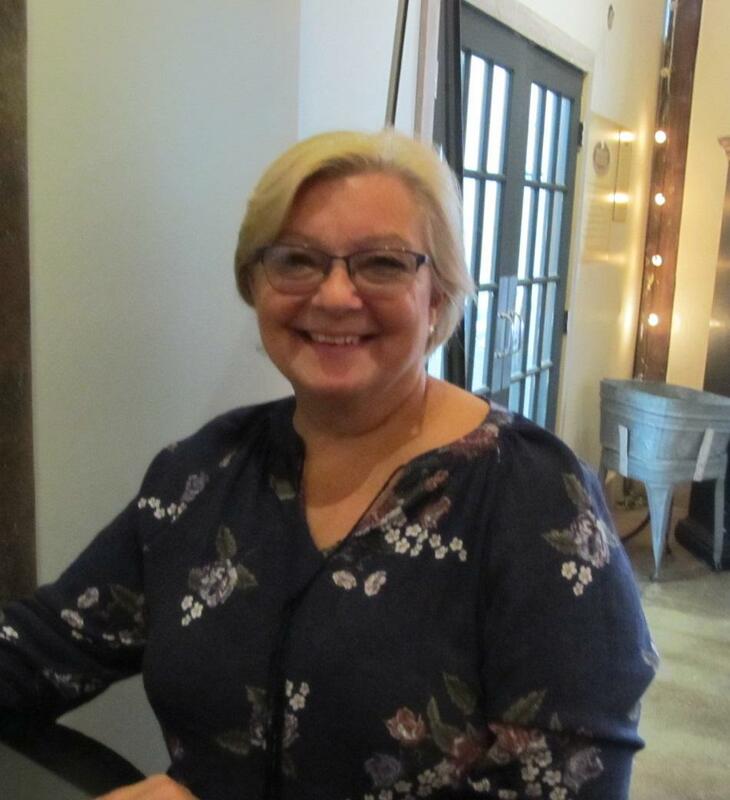 Norma Fiene is taking an adult cooking class. She said being able to use the kitchen was wonderful. "You know that you can do everything and not just get the recipe," she said. "That you can do it hands-on." But education is just part of Pretzel City's mission. It's also available to rent out to individuals for commercial purposes. Christy Hatlak manages the facility. She said she was lucky to have strong support when she started a bakery. But that wasn't always the case. "The younger me, the 29-year-old woman who had five small children, and was underemployed and had a dream of having her own business, could never have done what I managed to do later in life," she said. "But today, with this kind of facility, she could have." She wants to make sure others get that chance. It's one of the reasons she joined the kitchen's board, and then took her present job as it's manager. Evan Talbert is a hospitality instructor at Highland Community College and a Pretzel City Kitchens board member. He said there are lots of people who want to start a food business. Often the biggest barrier, he said, is the sheer cost – tens of thousands of dollars or more -- needed for the right equipment. "And so a community-led kitchen like this," he said, "allows that aspiring entrepreneur to get in and have relatively low overhead in the beginning while they're still perfecting their recipes, while they're still building a base of customers." Mary Katos is one of those trying to get a business started with the help of the Kitchens. She used to live in another state, where she made baklava as well as seasonings and herb blends that she sold at farmer's markets. Now, after spending time in the corporate world, she's ready to be her own boss and go commercial with her creations. "In order to do it, though," she said, "since laws are different here than they were where I was, I need to work in a certified kitchen. The cost to put together my own certified kitchen is just astronomical. It's more than I would want to pay at this point. So coming here makes a lot of sense to me." Then there are those who already have a business but are looking to branch out or expand. Like Billy Adams, Jr. His restaurant, Junior's Place in Freeport, proclaims "Food from the heart and soul" as its motto. 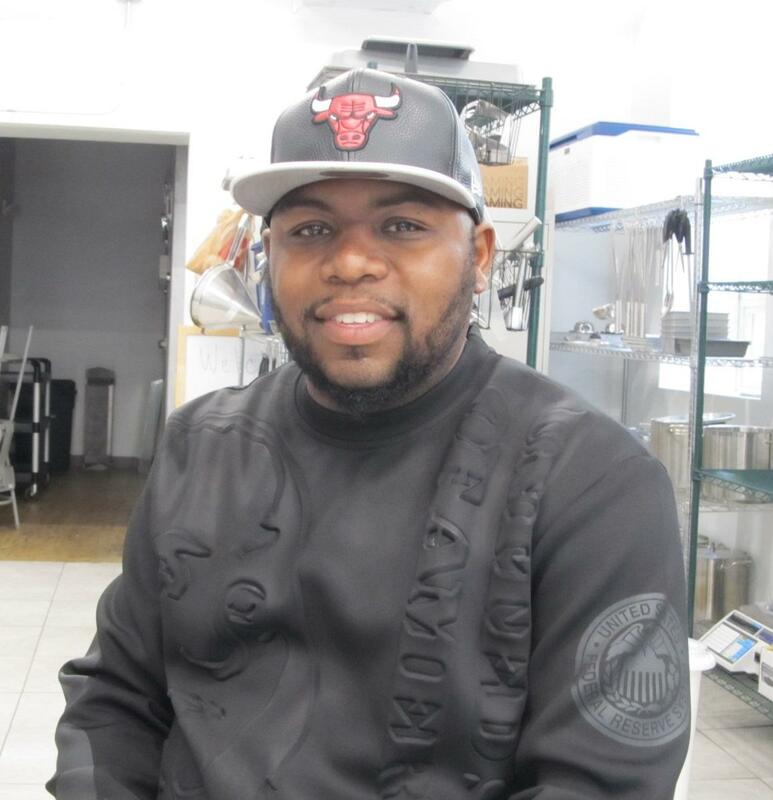 He just started a catering business, and his carryout-only place has no room to spare. "The amount of space is unbelievable," he said. "When I walked into the kitchen, it was just like this is a dream kitchen for me. So on the days that I rent it out, when I'm doing catering events, this is my kitchen, you know, so it really helps me out." Christy Hatlak said she thinks Pretzel City Kitchens could help make Freeport a foodie destination, or at least a stopping point for travelers across northern Illinois. But she already sees a benefit for the city, as students meet others outside their own social group and get internships at local restaurants, and entrepreneurs come to realize their dreams. "We're bringing a generation back downtown into what, architecturally, is a really cool place in the city," she said. "So I think that's an important part of what Pretzel City Kitchens is bringing in." Because, for Hatlak and the others behind it, the kitchen was never just about making food. It was, and is, about building community. University of Illinois Extension gives an update on the Pretzel City Kitchens project tonight at its Openfields Local Foods Harvest Dinner in Freeport. The Extension and its partners are excited by the project’s potential.